The Best Christmas and Holiday Gift Basket! 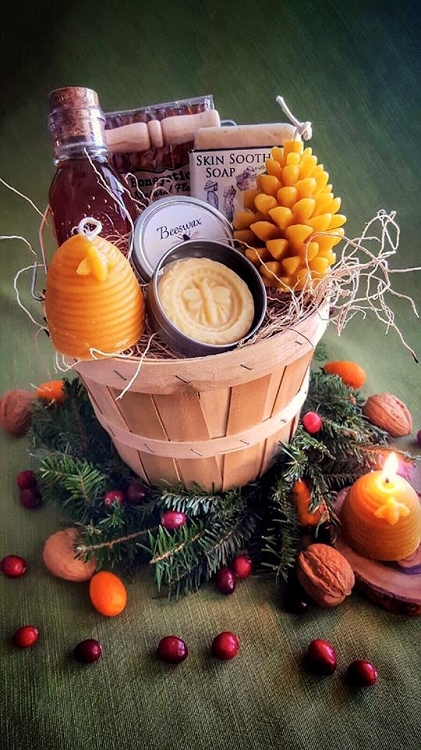 - Our Special Honey and Hive gift basket make perfect hostess gifts, corporate gifts and family gifts! or for anyone who enjoys a sweet and natural treat! Baskets arrive carefully packed and ready for giving! Gourmet, Festive and Delicious! anyone would enjoy! 1- Package of 12 Honeysticks assorted flavors. We are also happy to add a little Custom Card and Note to each basket upon request. Order now for Quick Shipping and Delivery! We make each basket to order, please allow 1-3 days for shipment.